The Diwali season is finally here and we can see the firecrackers named after some star heroines and heroes all over the streets. Well, it is known that most of the firecrackers brands are named after popular celebrities. Last year, Vijay Deverakonda posted a picture of firecrackers that is named after Samantha and stated that he celebrated Diwali with his favourite actors. 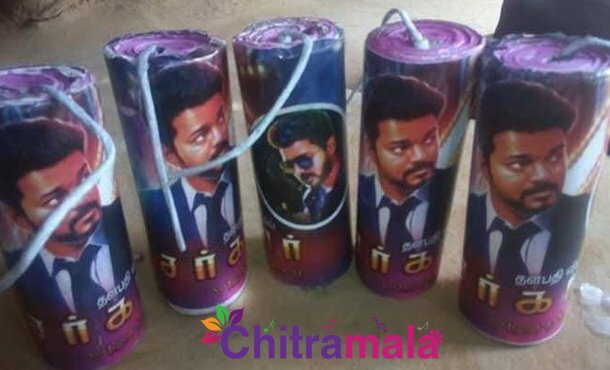 Now, the fans of Kollywood hero Vijay also gets a chance to celebrate the festival with the crackers that are named after him. The fans of Ilayathalapathy Vijay in Tamil Nadu have taken their love for him to the next level. It is known that Vijay’s upcoming movie ‘Sarkar’ under the direction of AR Murugadoss is slated for a grand release on November 6th on the occasion of Diwali. On this note, the crackers with Vijay’s name and pics, blazer and shirt combination stylised by Vijay from ‘Sarkar’ are kept on the window displays of many stores. As the combination of Vijay and Murugadoss has never gone wrong, the expectations on ‘Sarkar’ are sky high. 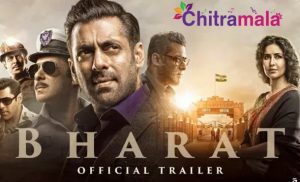 The trade is predicting that the movie is also going to become a blockbuster.